Homes/ Buildings are insulated with Icynene. Icynene has contractors in over 28 countries. Icynene has estimated they have used over 3 Billion Board Ft of Icynene Spray Foam Insulation. Why Use ECO Spray Foam? Imagine a draft free energy-efficient home. Spray foam expands up to 100 times its original size to fill every corner of a building’s envelope for thermal insulation and air sealing. With traditional insulation, spaces and gaps in homes that aren’t filled can leak enough air everyday to fill two air blimps! The work was done very well, I wouldn't hesitate to give a fantastic review. The lads who did the work were very friendly and I have invited them to stay at mine for a holiday. Quick & clean job, workmen as unobtrusive as possible. Both "boys" worked very well. Pleasant to talk to, very polite. I would recommend this company. Finished work, looked excellent. The insulation in your home can have an affect on so many areas of your life. Icynene spray foam insulation is an exceptional product that pays for itself very fast. 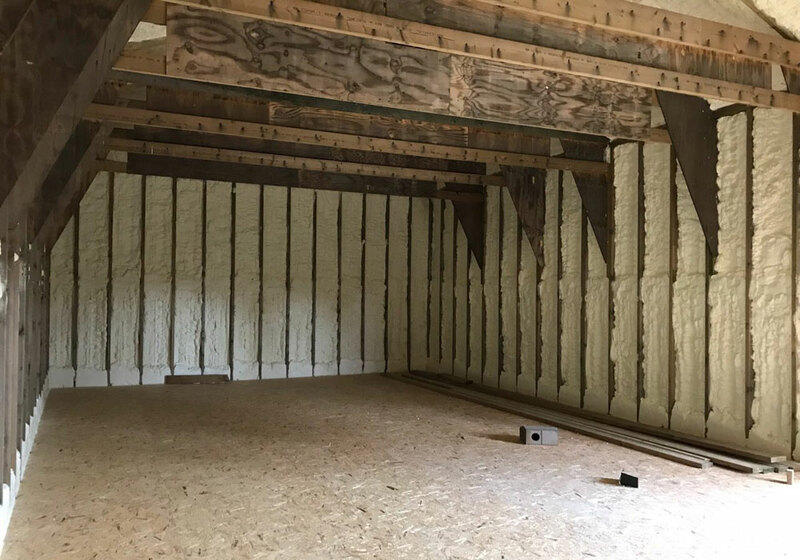 Icynene insulating spray foam isn't just insulation, it's also an air barrier that seals cracks and crevices other traditional insulation methods miss. 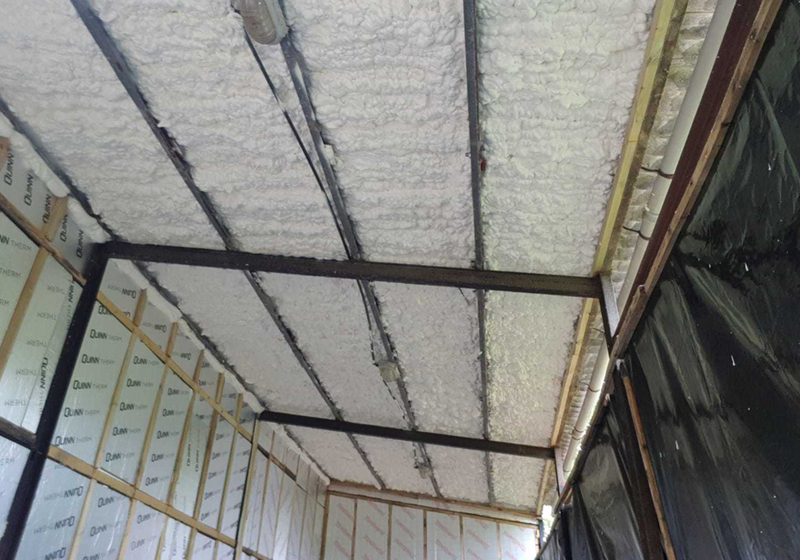 We specialises in the application of Icynene insulation which aims to solve condensation and insulation issues for storage areas and shipping containers. 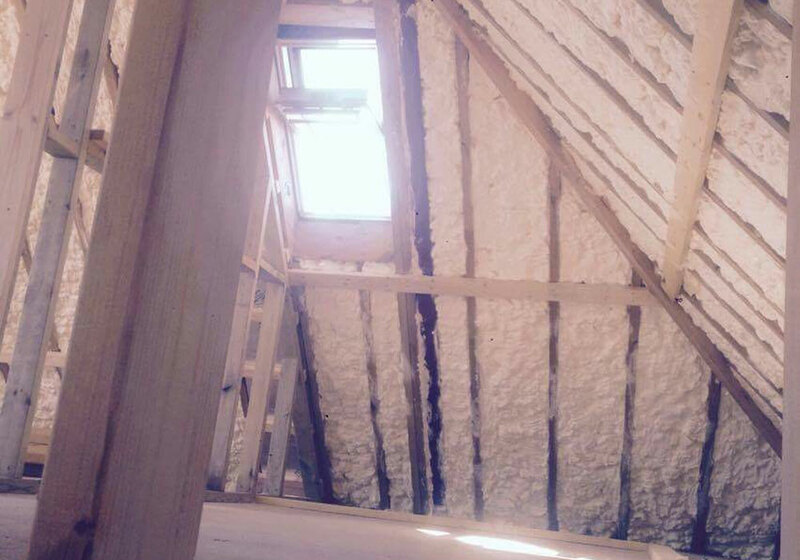 Icynene is perfect for loft insulation, wall insulation, timber frame and dry-lining insulation, sound insulation, and more. Icynene is perfect for protecting against air leakage. Icynene insulation can provide up to 50% energy savings, and reduce carbon dioxide emissions by thousands of tons per year. The related monetary savings can exceed the insulation price in just 3 to 4 years on average. Air leakage/infiltration accounts for up to 50% of heat loss from a building.